In a major announcement this morning the University of Notre Dame made it official. The Band of the Fighting Irish is going to have their own rehearsal field for the first time in the band's 170 year history. The field will be a full artificial turf football field with a director's tower. The field will also include locker rooms with bathrooms for the band to use and a new storage facility. Two other fields will be built adjacent to the band field. All will be lit for night time use and will be able to be used by students in recports as well. The whole complex will be called the "Ricci Family Fields". This was made possible by a $5M gift from Kenn and Pamela Ricci. Kenn was a member of the band as an undergraduate. We love seeing band alumni give back to the area of the university that had such a profound impact on their college experience. 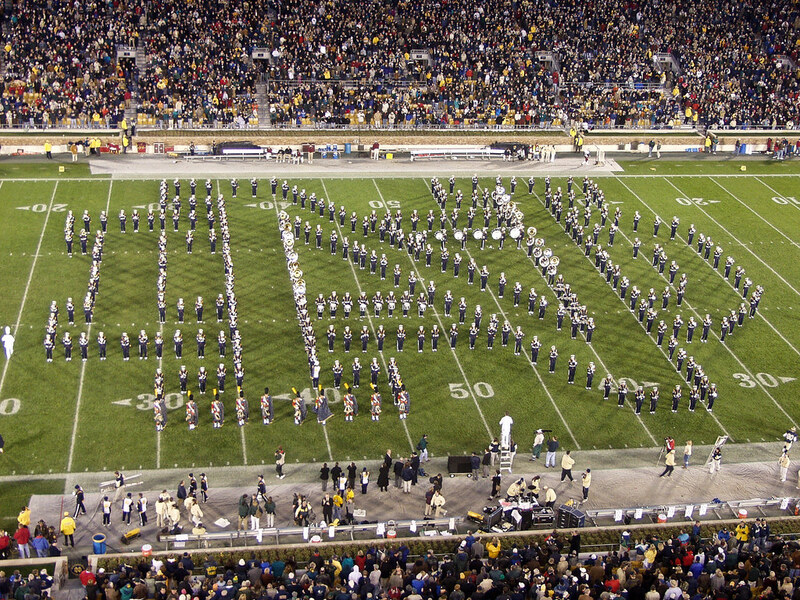 Ricci explained in a press release form the university that, "the band in many ways is the audio spirit of Notre Dame and we are very proud to contribute to its continuing mission and successes." Today we tip our hats to you, Kenn and Pamela Ricci, and thank you for supporting this wonderful college band program.